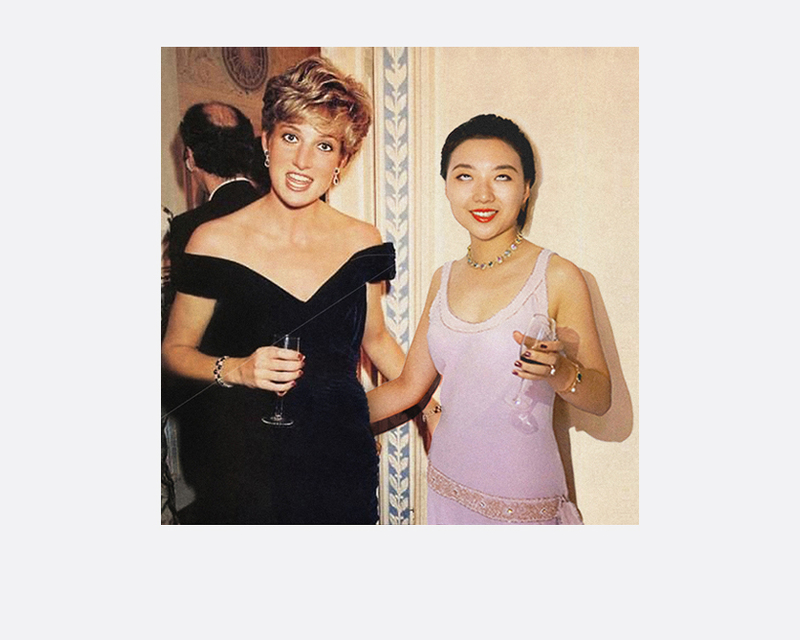 Silin Liu assumes the identity of her alter ego Céline Liu to travel through time and space: : Partying with Diana Spencer, studying alongside Simone de Beauvoir, projecting the future with Soong Mei-ling—iconic personalities and moments in history are cast in a new light by the everpresent persona of the artist. Each image is the result of a meticulous, week-long digital art-work that places charismatic Céline into the familiar settings of our cultural memory. Rewriting history in her own image, Silin ponders the function of photography in the era of cultural globalisation, the irrational worship of icons and our understanding of images as vehicles of historical storytelling. Liu Silin 刘思麟 a.k.a. Céline Liu, is a conceptual artist habitually crossing the boundaries of photography and digital art, while also exploring installation and performance. Liu Silin received her B.A. in Photography from the Lu Xun Academy of Fine Arts in Shenyang in 2012, followed by an M.A. from Tsinghua University, Beijing, in 2016. Her series I’m Everywhere was awarded the Discovery Award at Jimei x Arles International Photography Season 2016 and on show at Rencontres d’Arles in 2017.